100% food grade silicone with FDA & LFGB approved. 9) Logo can be printed. 10) Custom designs are highly welcomed. A host of unseen applications. Key Use(s): Static seals in extreme temperature situations. Seals for medical devices, compatible with FDA regulations. Features: Phenyl (PVMQ) based silicones can perform to -85°F. New polymers can take short term to 600°F. Limitations: Generally, low abrasion and tear resistance, and high friction characteristics preclude silicones from effectively sealing some dynamic applications. Silicones are also highly permeable to gases and are generally not recommended for exposure to ketones (MEK,acetone) or concentrated acids. Test Requested:As specified by clients,to determine total extractive residues from Rubber articles intended for repeated use in contact with food for compliance with Food and Drug Administration Regulations. Test Method:With reference to US FDA 21 CFR 177.2600. 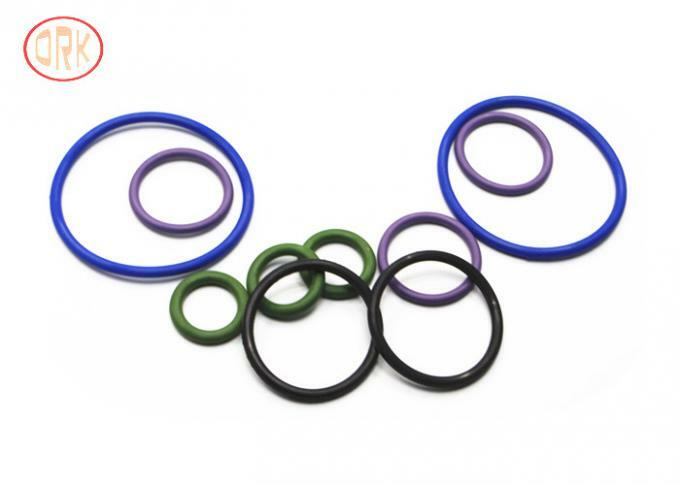 China Good Quality NBR O Ring Supplier. Copyright © 2015 - 2019 o-ringsseals.com. All Rights Reserved.